WASHINGTON, DC — North Dakota’s only national park is pushing to permit construction of a new Verizon cell tower right next to the state’s largest tract of designated wilderness. 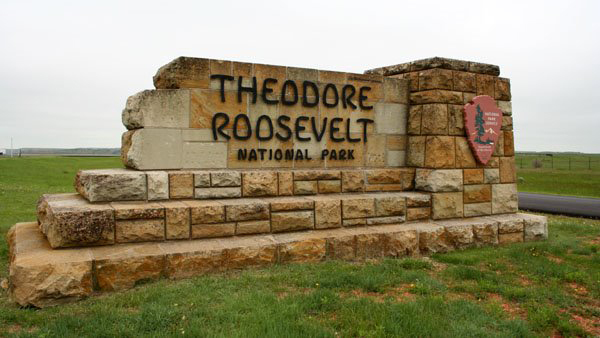 The plan would wire wilderness in violation of law, as well as contravene National Park Service (NPS) policy and the very purpose for which Theodore Roosevelt National Park was founded, according to comments filed today by Public Employees for Environmental Responsibility (PEER). Verizon wants to erect a 190-foot “guyed telecommunications tower” supporting cellular 4G panels, near the site of a radio tower in the North Unit of the park which is mostly designated wilderness (about 81%). 4G (4th Generation) coverage enables subscribers to download music, stream movies and play interactive online games. The park has proposed no measures to minimize signal spillover across the wilderness. Adding insult to injury, the park is naming the facility “Teddy’s Repeater” despite the fact that the 26th President of the United States hated being called “Teddy” and disliked telephones, which he refused to allow on his office desk. More tellingly, the park’s rugged “Badlands” of western North Dakota is where he sought the solace of nature at critical junctures in his life – away from civilization. The process for this Verizon tower has been stop-and-start, first surfacing in 2015, formally proposed early this year, then withdrawn and re-proposed this September with the public comment period concluding next week on October 31st. Despite this fitful gestation, the park has inexplicably republished its original Environmental Assessment without responding to comments about its plan violating several laws, such as the Wilderness Act and the National Environmental Policy Act, as well as numerous NPS policies. It also ignores concerns about negative effects on driver safety, view-sheds and soundscapes as well as objections raised by the U.S. Fish and Wildlife Service about the tower design aggravating the chances of collisions with migratory birds. In a Freedom of Information Act lawsuit brought against the park, PEER obtained internal documents showing that officials intended to ignore concerns until issuing a final approval and to avoid raising even the possibility of mitigation measures or alternatives in order to accommodate Verizon.